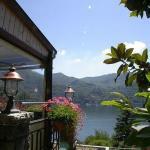 Lake Como, also called Lario, in Lombardy, is equally divided between the provinces of Como and Lecco. This is the third largest lake in Italy and is a prestigious tourist destination. On its shores lie many ancient towns and villages that offer hospitality to tourists and good food. Lake Como, with its two branches that meet at Bellagio, has always been a destination for weekend trips and long vacations during the summer. The Italian and foreign tourists who arrived at the lake from the north, Switzerland, and the south, directly from Milan, enjoy charming corners where you can spend days in peace, but also places equipped for all water and mountain sports. On the east side of the lake, the road n36, almost entirely in a gallery, allows easy reach of the top of the lake, Colico. Along the main road there are all the exits to the several towns on the waterfront, including Mandello Lario, Lierna, Varenna, Bellano, Dervio and finally Colico. The West Bank, in the province of Como, is instead covered by a road which skirts the lake and reaches the centre of the towns. Among the most important: Cernobbio, Moltrasio, Laglio, Brienno, Argegno, Ossuggio, Menaggio, San Siro, Dongo, Gravedona and Domaso. These are all historic sites, with interesting monuments, palaces and churches of cultural and artistic interest. In each of these towns, to the east or west, you will find delightful hotels, ranging from luxury to family-run. In general, the countries bordering the lake all feature a tree-lined promenade with benches where you can spend the hottest hours of the day relaxing. On the coast, the offer for tourists is complete. In addition to hotels, guest houses, rental apartments, restaurants and clubs, you often find equipped areas for children, as well as sailing and windsurfing centers, but also opportunities for trekking and climbing trips towards the mountains that often plunge straight into the lake. Important sailing schools are to be found in Dervio and Domaso. There are small beaches all along the coast. Navigation on Lake Como is ensured by an extensive network of ferries, especially in the middle point of the lake, between Bellagio, Varenna, Menaggio and Cadenabbia. On the lake you can also travel on a historic steamboat launched at the beginning of 900. 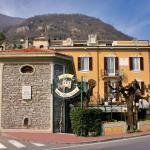 3 km from the centre of Bellagio, on top of a hill overlooking Lake Como, the Hotel Il Perlo Panorama welcomes you. Perfect for those looking for a quiet holiday in a warm and familiar atmosphere. 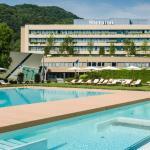 The Hotel Posta is waiting for you in the quiet village of Menaggio, on lake Como. 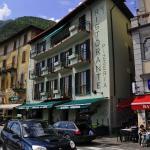 A charming 3 stars hotel, directly overlooking the ferry pier for fun trips on the lake.